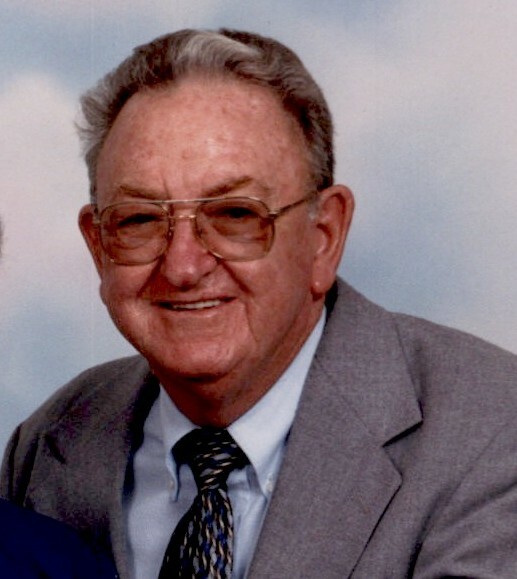 James Delbert Reeder, 86 of South Portsmouth, KY went to be with the Lord on Saturday, November 17, 2018 at SOMC Hospice. He was born on July 10, 1932, to the late Charles and Amy Reeder. Also preceding him in death were his sisters Charlotte (Earl) VanBibber, Bonnie (Gene) Cade, and brother Harold Reeder. Jim is survived by: his wife Beverly Jo Reeder of South Portsmouth; a daughter Cheryl (Mark) Euton of Cincinnati Ohio; son Craig Steven (Linda) Reeder of Georgetown, Indiana; five grandchildren Kyle Euton, Whitney (Matt) Mueller, Justin Reeder, Rylan Euton, Seth Reeder; and one great grandson Sullivan Mueller. Also surviving are two nieces Karen (Jeff) Walburn, Lea Ann VanBibber, and nephew Mark Cade. Jim was a member of the South Portsmouth Church of Christ where he was an Elder and enjoyed leading the song service. He was formerly a used car salesman at Glockner Chevrolet, Frank Tiedge/Fred Brown, and the owner/operator of the former Kleen Kars. He was the great storyteller of the family and always had a story for everyone he met. His stories will be greatly missed by all who knew him. Jim’s family extends their sincere thanks to Dr. Michael Martin, SOMC Hospice, and the staff of the Riverside Methodist Hospital Neurological Unit. Funeral services will be held on Wednesday, Nov. 21, 2018, at 11 A.M. at the Roberson Funeral Home in South Shore Ky with Pastor Glenn Lawhun officiating. Burial will follow in Siloam Cemetery. Friends may call at the funeral home Tuesday evening from 6 to 8 P.M. and one hour before the service time on Wednesday.